Hanoi (VNA) – The 20th Vietnam Film Festival will take place in the central coastal city of Da Nang from November 24-28 with the participation of nearly 850 delegates. The information was revealed by Deputy Minister of Culture, Sports and Tourism Vuong Duy Bien at a press conference in Hanoi on August 15. The event aims to honour Vietnam’s best movies and create a platform for artists and film producers to share experience in the field. It is part of the activities to celebrate the 50th founding anniversary of the Association of Southeast Asian Nations (ASEAN). The festival affirms the crucial role of the cinema industry in promoting culture, traditional friendship and cooperation among the ASEAN member nations via the Film ASEAN Awards initiated by Vietnam. 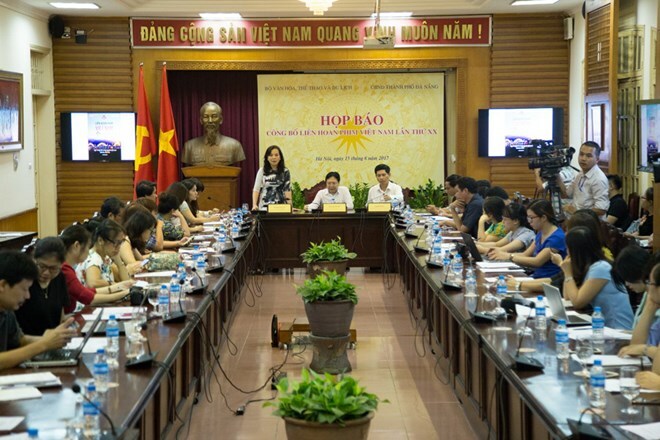 Diverse activities will be held during event, including film screenings, seminars featuring the development of Vietnam and ASEAN film industry, an exhibition on Vietnamese cinema, and art exchanges.